Another great week of technology and mobile passed away, leaving some sweet memory and a bad memory for many companies. As usual, we are bringing you the top five tech update from this week. This week was very tough for Samsung as they have to recall and stop the production of their newly launched flagship Note 7 from the market. OnePlus may soon halt production of its OnePlus 3 smartphone to make way for a new variant, as per industry sources, and it may be called the OnePlus 3s or OnePlus 3 Plus. The Chinese company is said to be working on a refreshed version of the OnePlus 3 which will come with the upgraded Snapdragon 821 processor. The existing OnePlus 3 models feature Qualcomm Snapdragon 820. Nokia D1C was earlier reported as one of the mid-range smartphones from the Finnish smartphone maker. Wait, a new benchmark reveals it’s a tablet and not smartphone. An Antutu listing last week confirmed a Nokia device running Android 7.0 Nougat in works. The device was easily conceived to be one of the midrange smartphone based on the specs but it seems Nokia has some other idea. With D1C, Nokia is probably aiming at an Android-based home entertainment device. The tablet is a likely competitor to Samsung’s 18.4-inch Galaxy View tablet. Assistant is Google Pixel’s major selling point as the tech giant has presently restricted the feature from being available to smartphones below Android Nougat. Even those smartphones who support Google’s Android Nougat developer versions. These are some of the tech updates from the last week, hope you have got the glance what has happened last week in the tech industry. 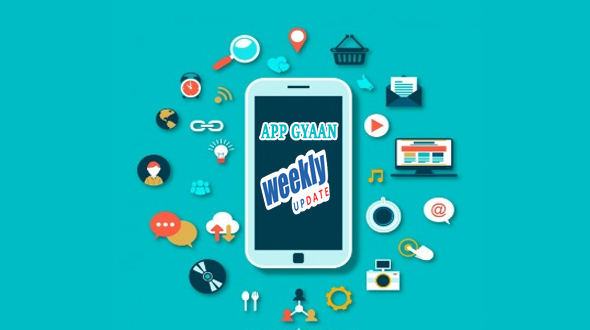 Will be back with next week update, to make sure you get all the updates from App Gyaan directly in your inbox subscribe to App Gyaan.